We were gifted this second hand. It has been a lifesaver when we have used everything else to try and get our baby to sleep. He loves the different motions he gets to experience and Wave is probably his favourite one. He likes it on the fastest setting and I feel safe that he'll be safe while I quickly pop to the loo or do my washing up while he's in it. Bought the chair before our little girl was born, It seemed amazing till we put her in it & she looked lost. So we had to purchase the newborn insert as our chair didnt come with one. Retailing at £39.99 i thought that was abit steep but i wanted my baby to be comfortable & supported. 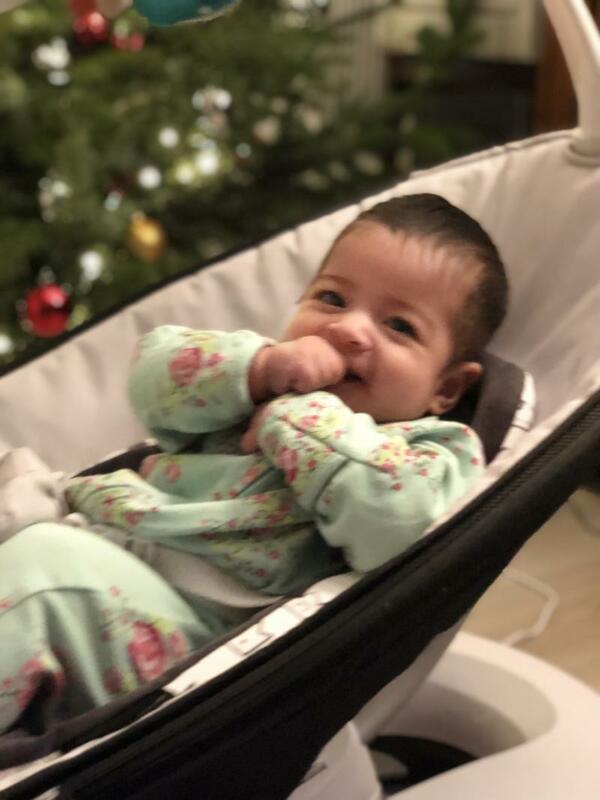 my little girl didnt overly enjoy the chair, but other babies i know loved it. so its all dependant on your baby. I used it for the first few months when he would want to be held. My 1st. Any didn’t like it but my second did. It I thought it was quite pricey as you only use it for a few months until the baby starts moving around and no longer wants to be confined. It is very pricey however a great product. It has many different settings and switches off by itself so that the baby is not in there for too long. Really like this product my boy enjoys being rocked to sleep with the different settings and use of white noise playing highly recommend. 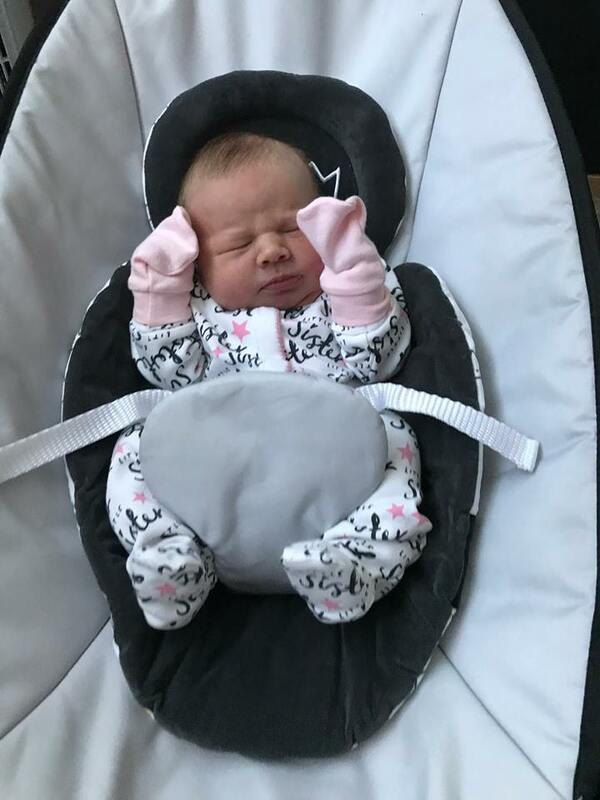 I ordered the rockaroo when my first daughter was around 1 week old and it was a complete blessing. For the days she was overtired or just wanted to feel movement this allowed me to get things done in house , get a shower or even just enjoy a hot cup of tea. We have now used it for our second daughter and had the same great experience. Super handy that you can plug phone or iPod in so the motion along with white noise made for happy babies. The chair is completely stable and strong as my 2 year old has climbed in it a few times and it has took her weight. Very comfy for baby and the different settings are great. I can even play her favourite songs. 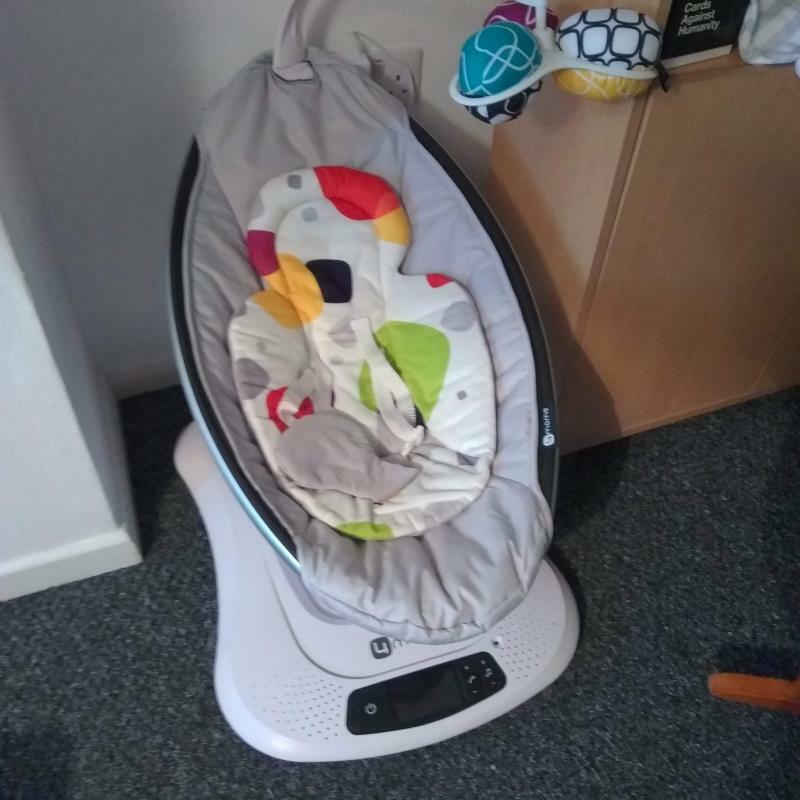 My daughter loves this rocker, she was suffering from reflux at about 2 2 weeks so we were putting her in this to get her off to sleep after her feeds and it's made a huge difference. This helps her off to sleep even when she's over tired. Only bad point is the toys hanging down, she's 9 weeks old and they're still too high for her to pay attention to. 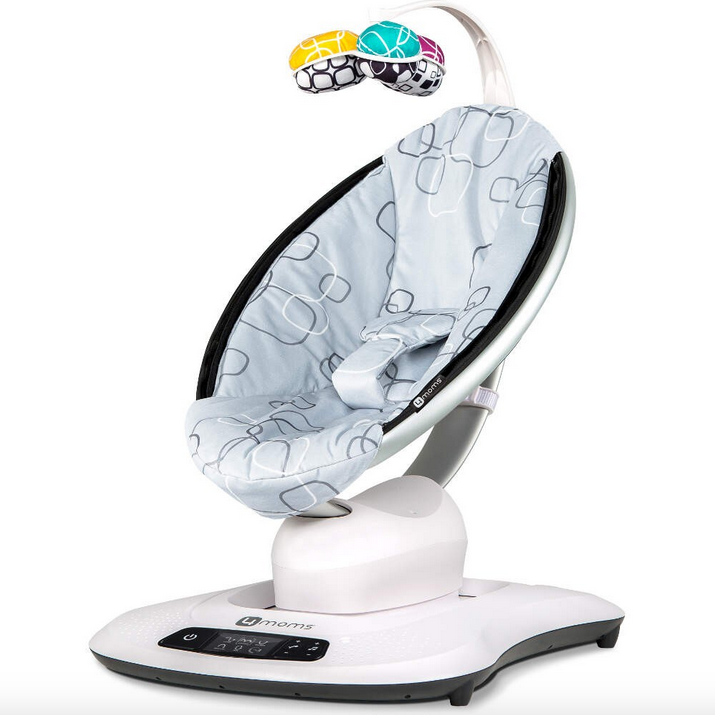 The sleek and modern 4moms rockaRoo is a baby chair with a difference! 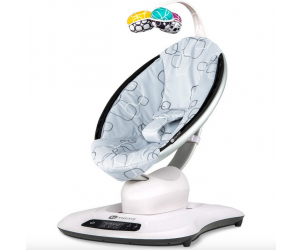 It provides a 5 speed front to back glide movement that babies just adore. It will fit perfectly in any home, as it is 1/3 smaller than traditional swings, and looks great too in its classic smooth grey seat fabric. Additional seat fabrics are available too in both the classic and plush options. 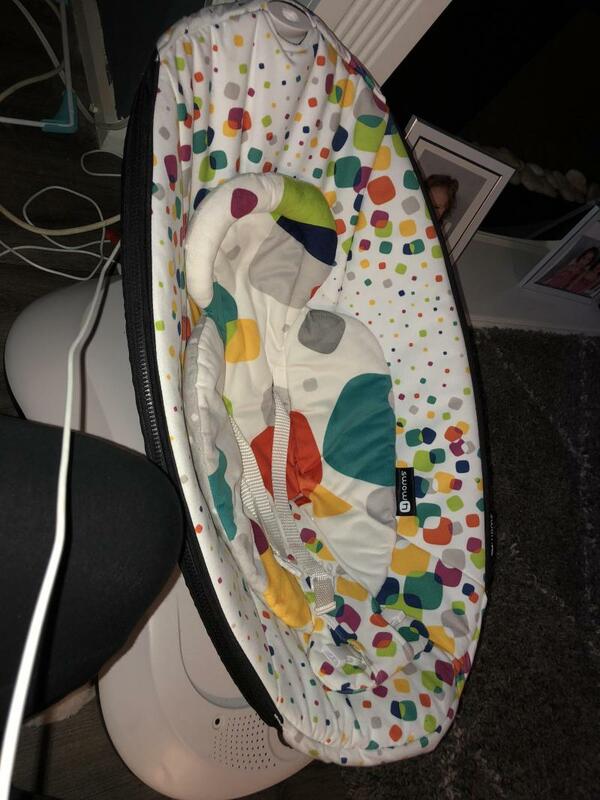 By connecting your own MP3 device you can play soothing music or sounds for your baby whilst they are relaxing and enjoying the gliding motion. Also your baby can be entertained by the removable, reversible toy balls.